There are cars that are seemingly too cool to scrap. The Musclecar really started to make a comeback in the mid 80's with the American car companies starting build real performance instead of just paint schemes and stripe packages. 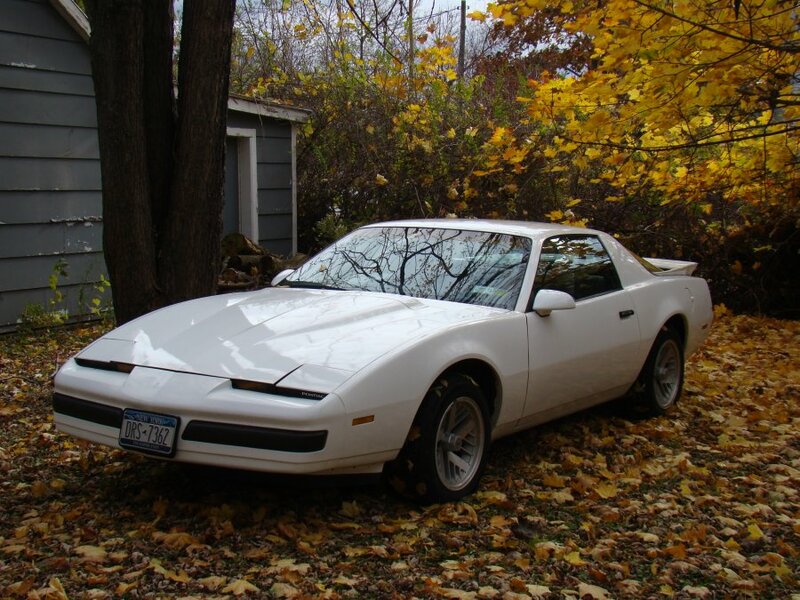 Our featured car was a bit of a Super Car in 1988 as it was one of the new 5-speed, Tuned Port Injected Firebird Formulas. Until 1988 the 215 horsepower 5.0L (305 cubic inch) TPI engine was only available with an automatic transmission. This car also came with the WS6 handling package with the Australian posi rear end with 3.73 gears and 4-wheel disc brakes. Bone stock these cars ran mid to high 14-second 1/4 miles, cornered like a slot car, and topped out at speeds over 140 miles an hour. On top of that, you could get over 20 miles per gallon on the highway under normal driving conditions. All good things must come to an end and the end was near for our fast feathered friend. Don picked it up as part of a package deal when he picked up a Camaro for parts. The guy said "you gotta take'em both 'cause I'm moving and they have to go too!". So, Don brings them both to the shop with plans of taking the needed parts and scrapping them both. Upon seeing the Formula and hearing the plan for it's demise, Dan says "Do you know what this is?...". After putting an end to Dan's hysterics, Don saved the car from the junkyard and built it for him. There was some metal patching and panel replacement to be done and Dan requested that the car be painted white because he already had two blue Trans AM's. (the car was originally light blue) The engine had a serious rod knock but before Don could rebuild it, he found a 350 long block (crate engine) with 1800 miles on it. It came from a van so it was not a high performance engine, but with Tuned Port Injection, it's very strong with good low end torque. The Borg-Warner T-5 had to be rebuilt because it had been terribly abused. Don ran completely through and it shifts like new. Now, all 350 Tuned Port cars were supposed to be automatics, so this car is even more special than it was before. Now even though this engine is not as strong as a regular 350 TPI motor, it still pulls like freight train to almost 5000 RPM. The Formula is an excellent Grand Touring car that pulls 0-60 in the 6 second range, 1/4 miles in just under 14 flat and the WS6 handling package takes care of the rest. Don finished the package off with a Dynamax 2 1/2" Cat back system to give it that sweet tone that every muscle car wants. This is a driver's car that reminds us of the return to American Muscle that started in the mid 80's. This car was as close as you could get to a Trans AM without actually owning one. They had lower insurance rates and performed just as well. When you stop and think about it, for 1988 the Firebird Formula was probably the best "Bang for the Buck" performance car of it's time. With air conditioning, power windows and locks, cloth interior and tilt wheel, this car could be purchased for about the same cost as a Pontiac 6000 SE and way cheaper than an Trans AM. So, in a way it's quite fitting that this Blue Collar musclecar was saved from the crusher because it represents a time when the affordable performance car, that truely performed, was returned to the American public and when you look at the price of today's factory musclecars, (the best ever) they're out of reach of the average guy because the days of the bare bones muscle car are over.